Hi babes! 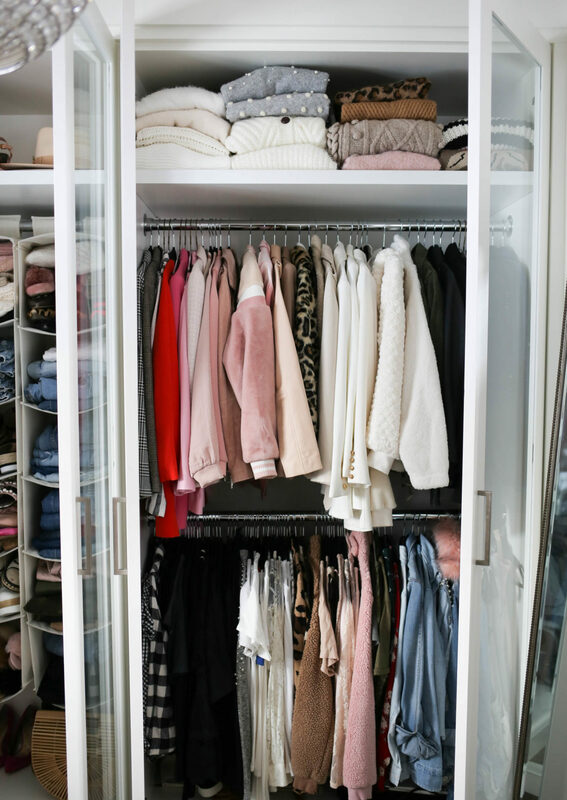 Are y’all ready to go inside my closet?!! 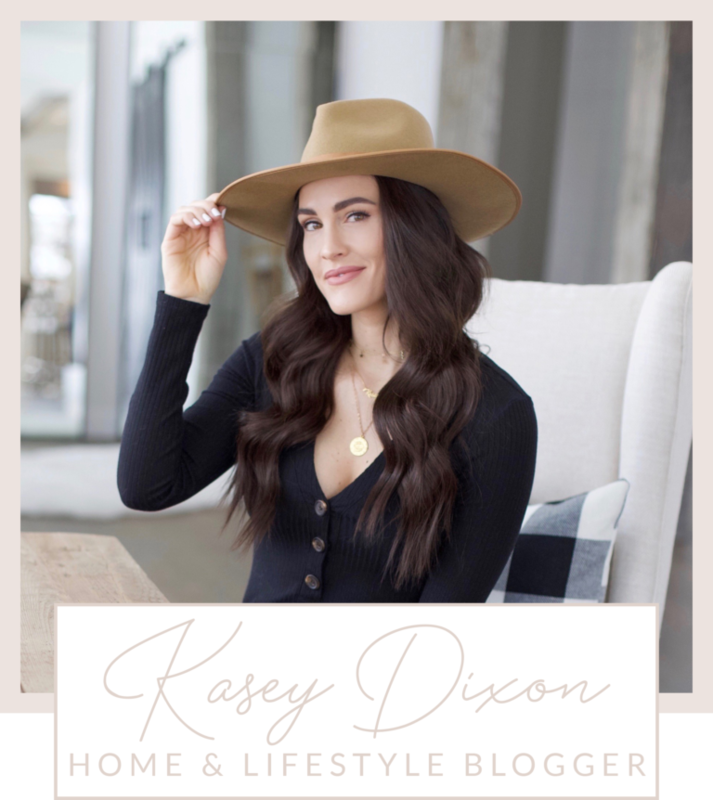 So excited to share all of the design deets and fave decor items. 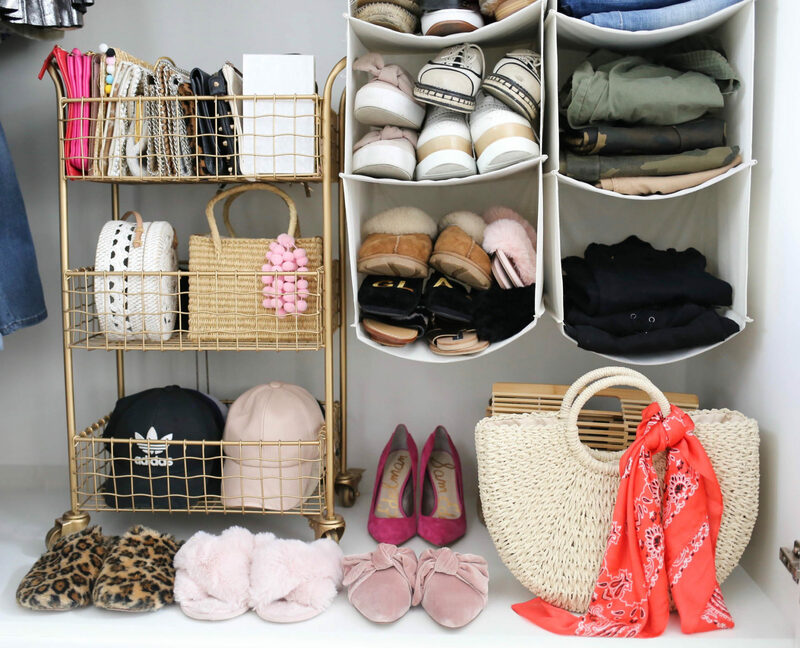 If you missed my closet ORGANIZATION post, check it out here. 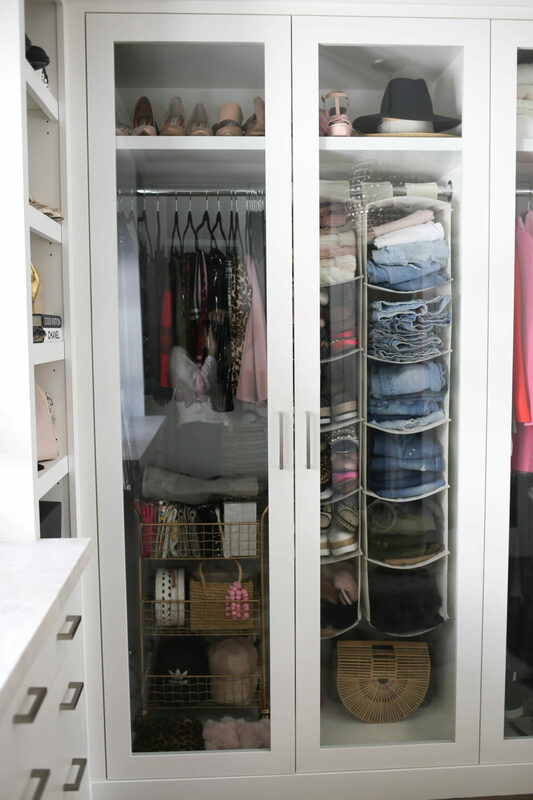 My overall closet design and buildout was done by a local woodworking company – Taylor Woodworks. When I was designing it with the team, there were a few things that I knew I wanted: an open concept, lots of hanging and clear glass doors. 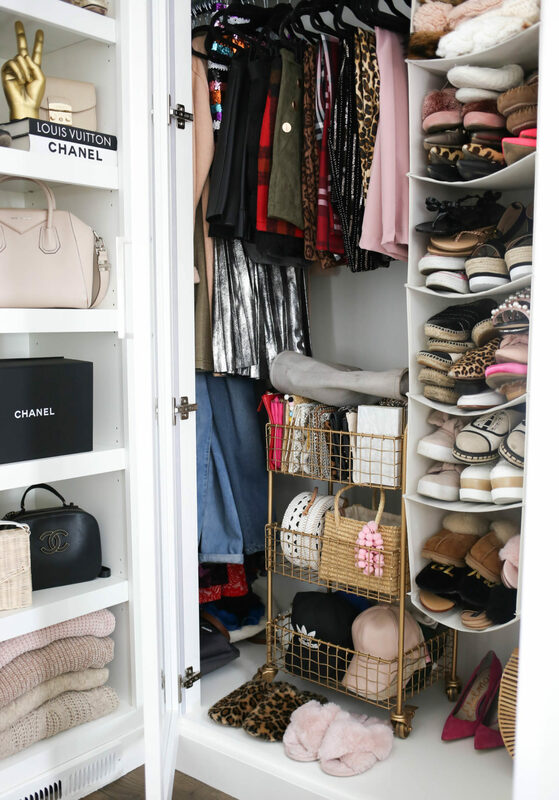 We built the closet around the perimeter of the room, with the hanging, shoes shelves and dresser mirroring itself on each side – his & hers! I love how the layout turned out. The glass doors are probably my favorite design element as it’s SO important to me to see everything I have. I decided on very clean finishes for this space. 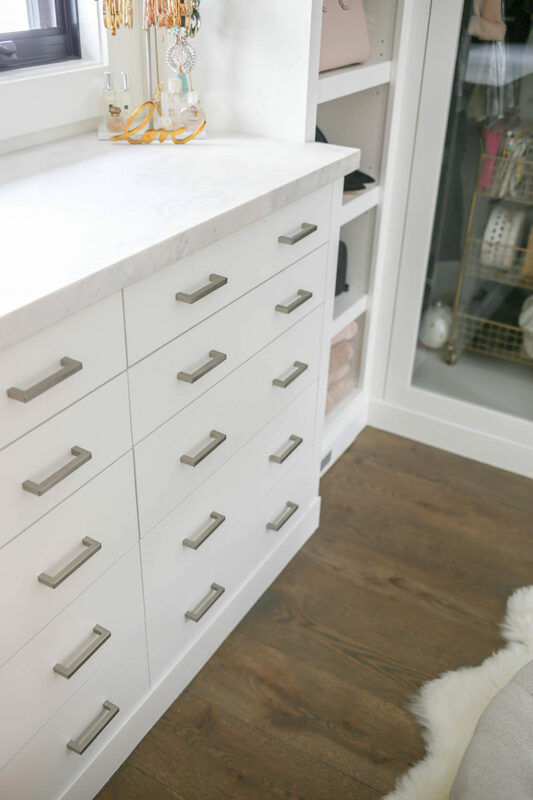 We used Benjamin Moore’s “Simply White” paint color, 8″ white oak floors, honed “white sky” marble countertops and simple brushed satin modern drawer/door pulls. The final touch was the light fixture. I knew I wanted to go with something a bit more glam for the closet. 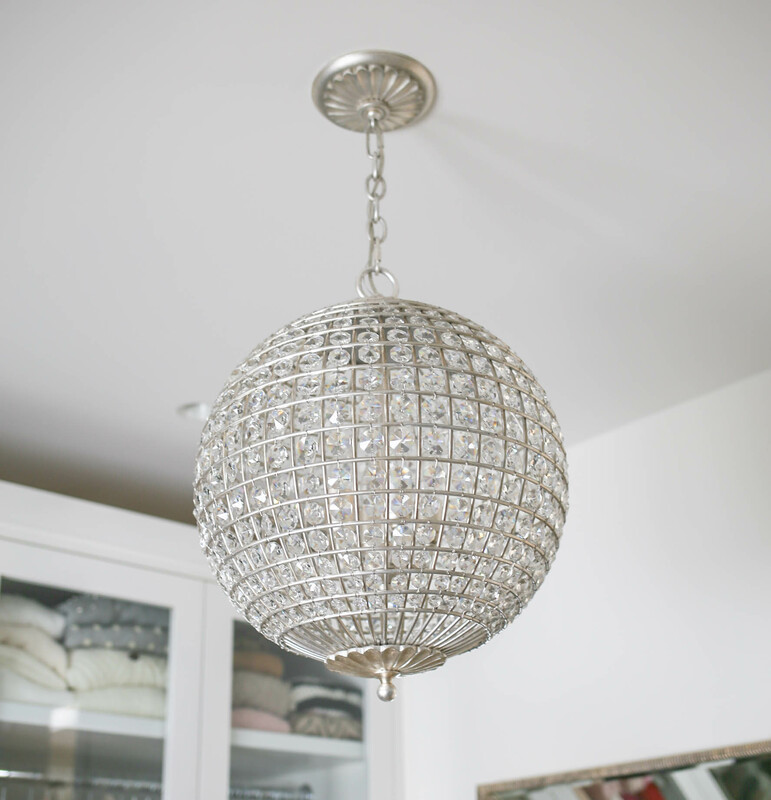 I selected a 20’s-style globe crystal globe chandelier. 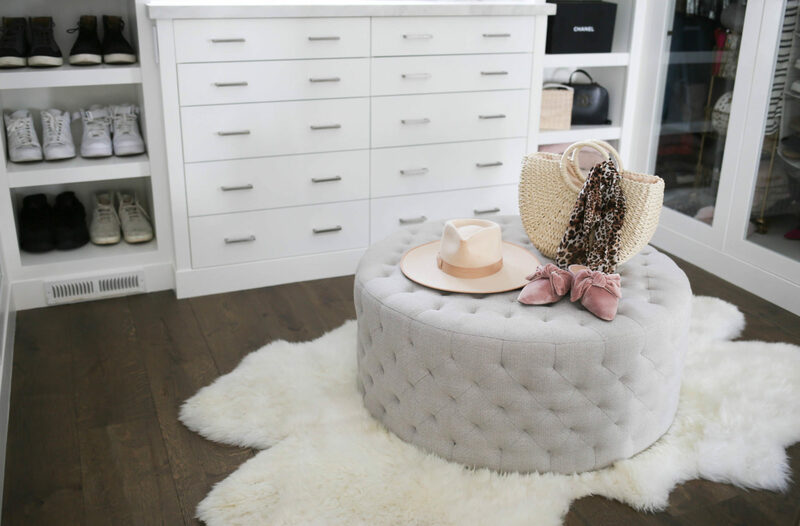 If you’re looking for a look-for-less option, check out a great dupe here! I finally added in a few decor/org items on the dresser counter and shelves. I love to use fashion books and figurines paired with my shoes and handbags for shelf styling. Gotta show off the goods! See below to shop all of my decor and organizers. As always, leave a comment with any questions. 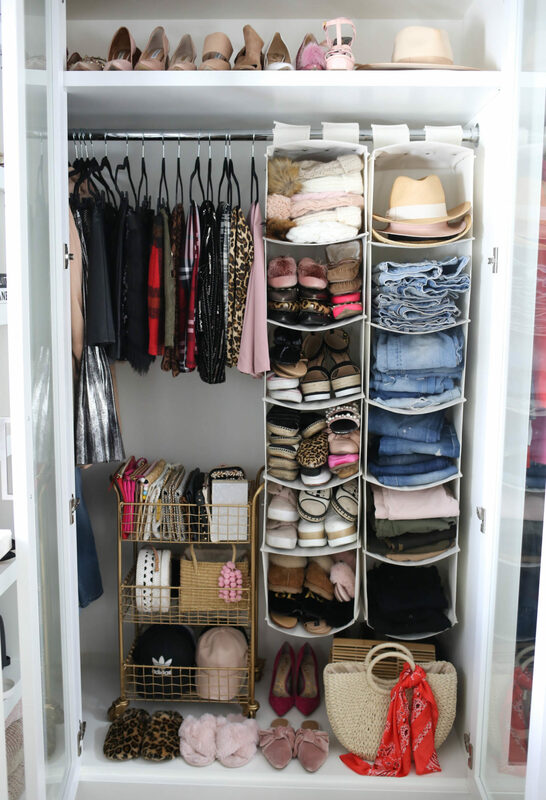 Share the post "Closet Design & Decor"